Cry, or Dont is a site specific installation that responds to the gallerys architectural history as a former milk bottling plant. Using spilt milk as a metaphor for recent economic events, Kang addresses industrial vacancy and attempts to quiet personal fears through the meditative visual rhythms. Mimicking industrial production through repetition and pattern creation, Robin Kang immerses herself in the process and ideology of specialized labor. 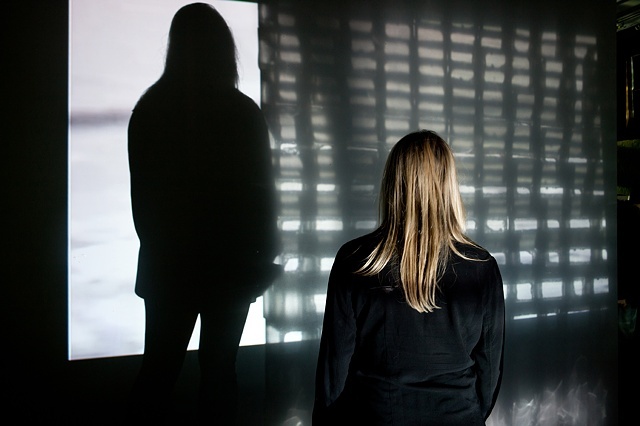 Using transparent structures and video projections that highlight absence and the residue of industry, she creates immersive installations that question the process of making and the materiality of experience.